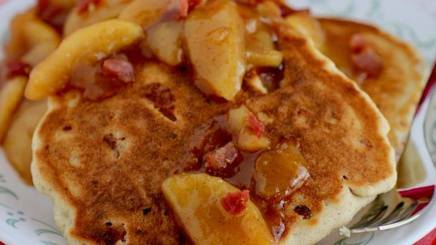 Served with warm maple syrup these hearty apple pancakes with that hint of Bacon and bourbon were quite the hit for our Sunday morning breakfast! P.S. Bacon Addicts- add more Bacon!